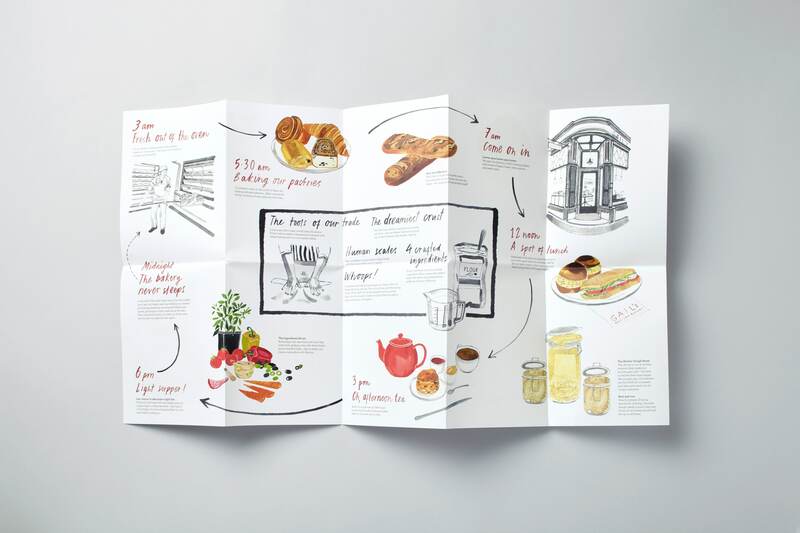 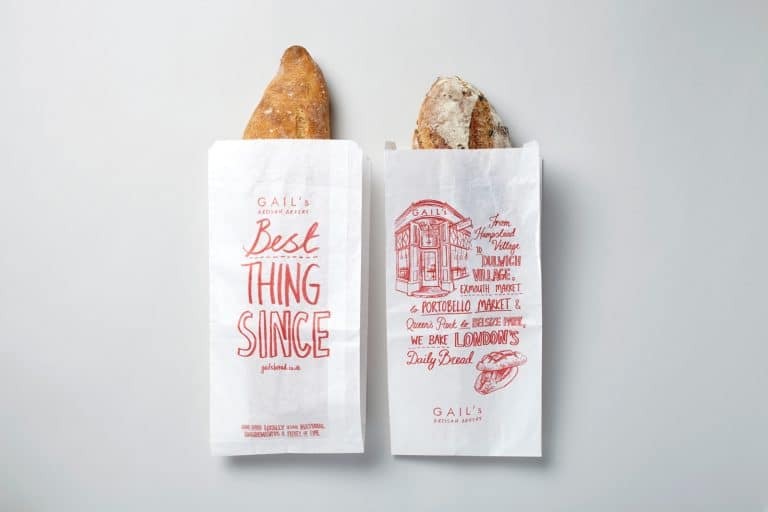 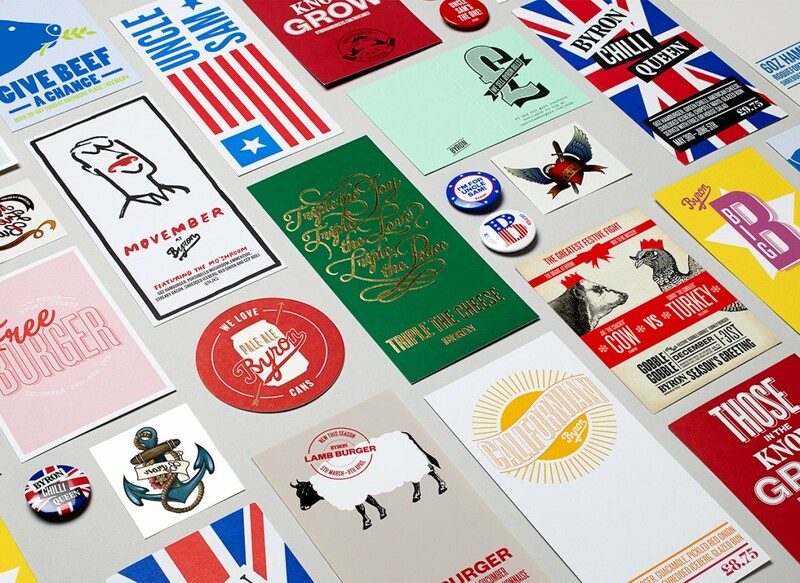 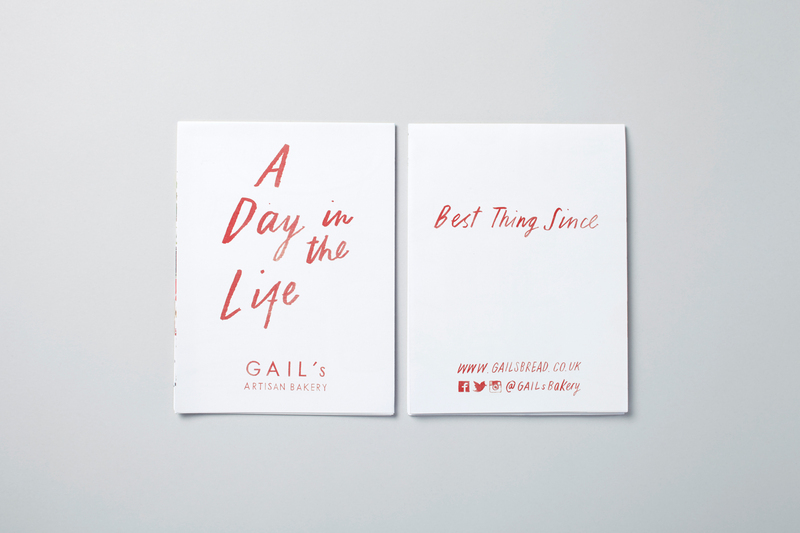 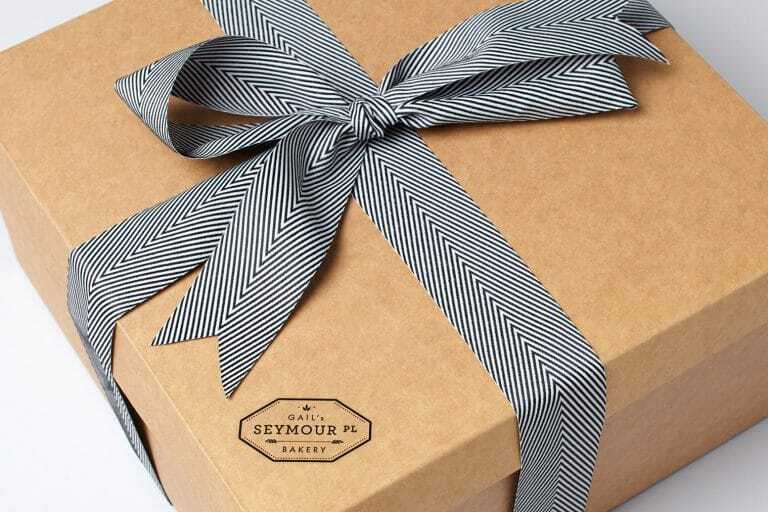 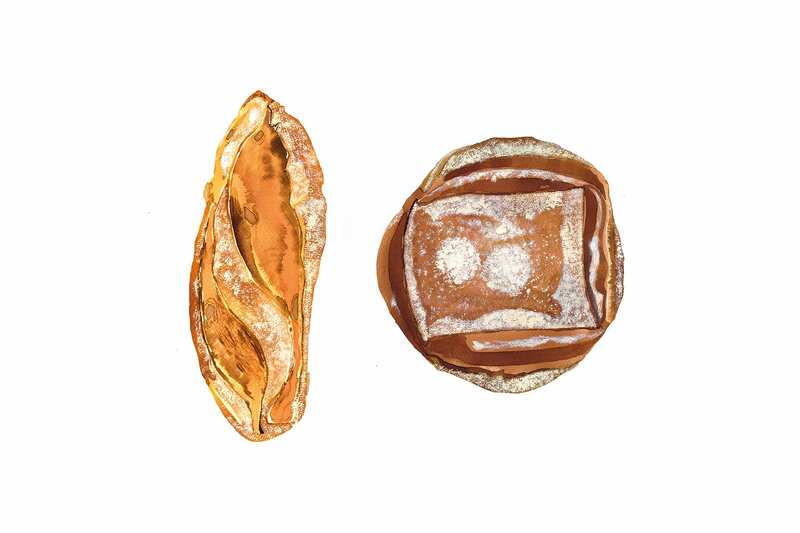 Gail’s Artisan Bakery asked us to create a leaflet which celebrated their story, process and produce. 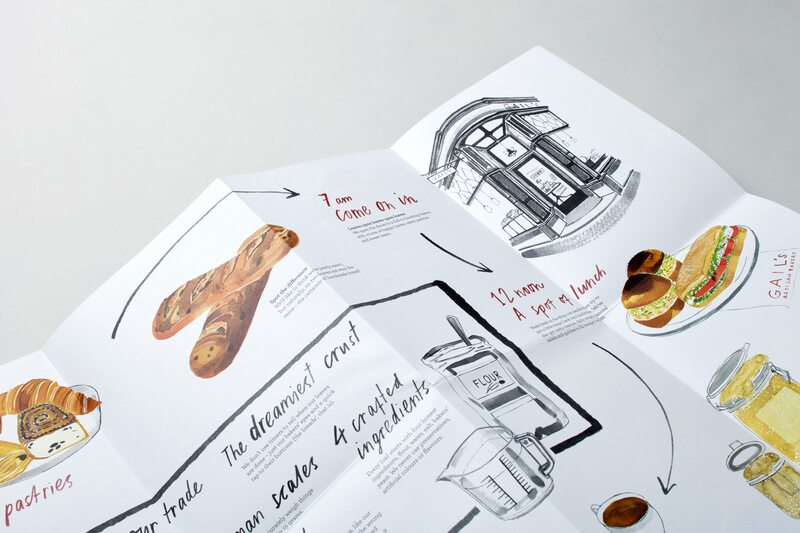 The finished piece took the form of an illustrated fold up leaflet with each side telling a different part of their story. 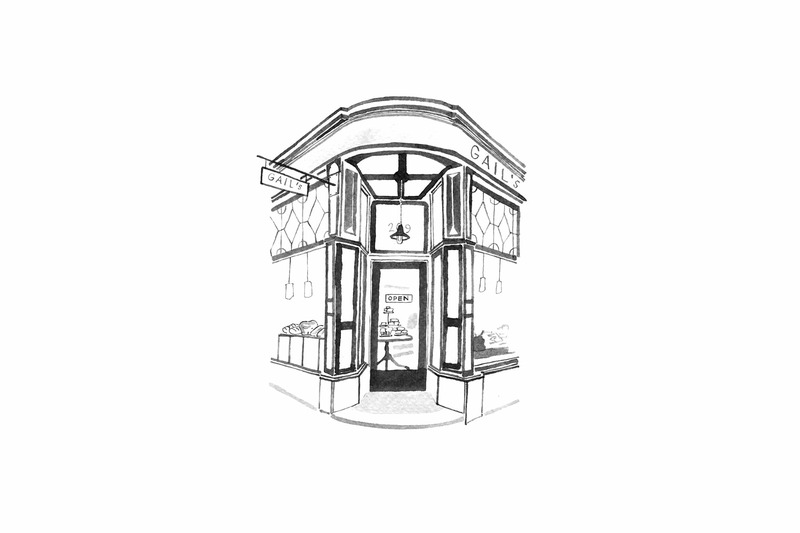 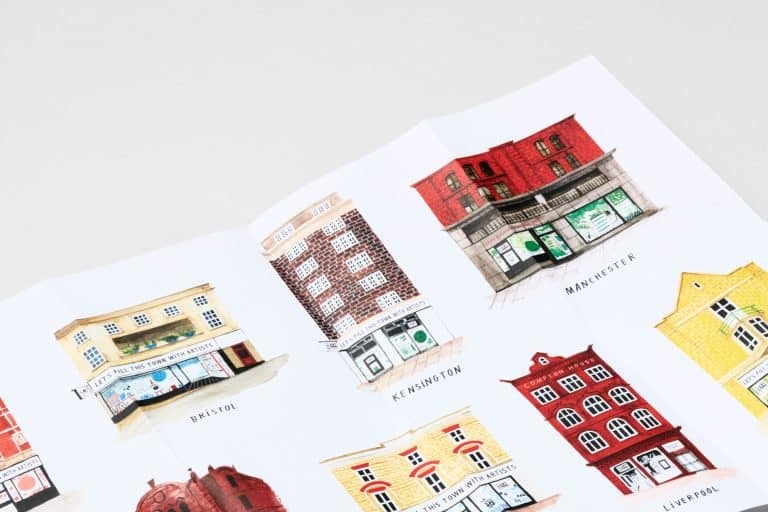 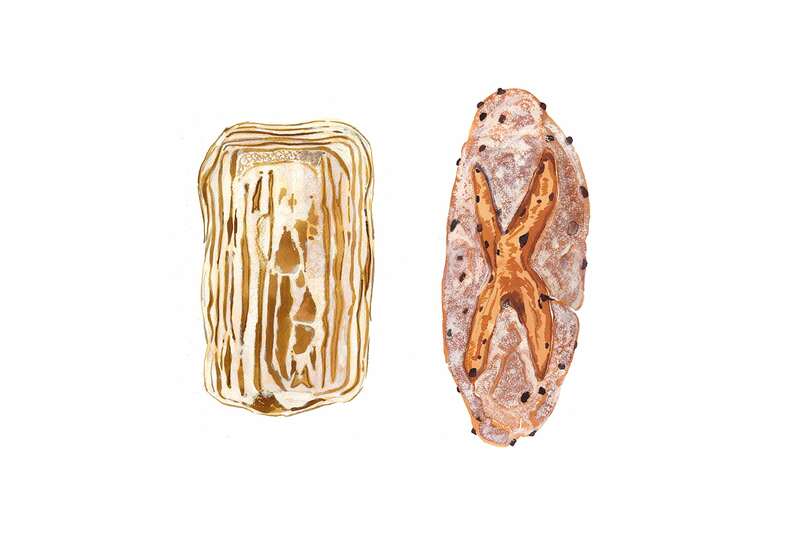 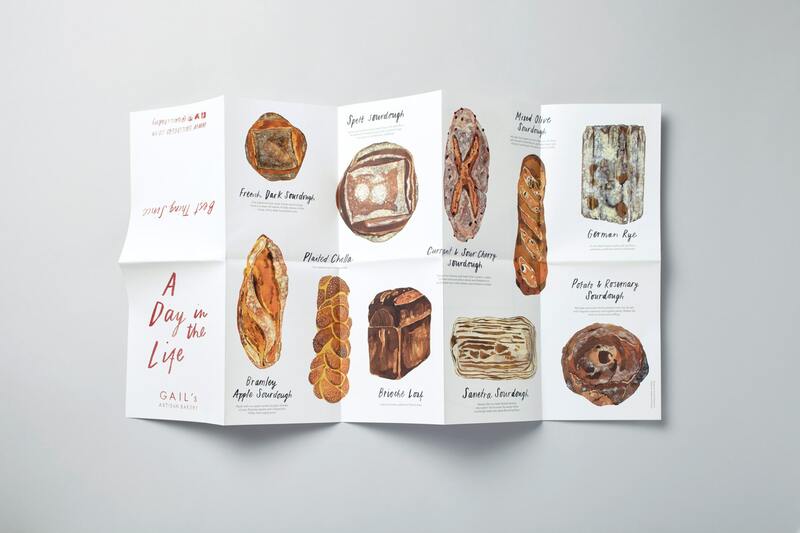 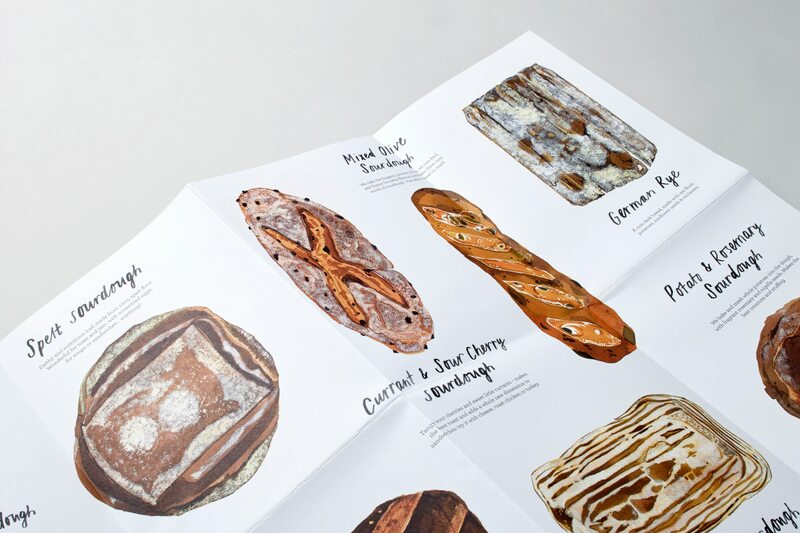 We commissioned the illustrator Emily Robertson to create a timeline for ‘A Day in the Life’ of the bakery on one side, and on the other side, showcasing Gail’s most loved breads.